Losing a key or having a broken key can create quite a distressful and frustrating situation for us. People are no experts in working through opening a lock or unlock doors. In this condition, they resort to breaking the door, or window glass to try to break-in or get access to enter their home or car. But, can the door be opened without breaking anything? Yes, there are ways which can be implemented to unlock a house or car door without keys, without damaging any object or anything. But this can be implemented only by an expert, and that is why the importance of a professional locksmith arises in such situations. How do locksmiths open doors and locks without breaking or damaging something? Locksmiths pick a lock implementing a great deal of knowledge, skill, as well as familiarity with the lock system, and above all patience. As part of their professional training and skill enhancement, locksmiths study and understand completely about locks during their formal training, as well as on the job. It includes knowing the components of a lock, its mechanics, key structure, how the key functions to open a lock, what are the loopholes in the lock systems that can be utilized for opening that. They develop their skills by practicing opening a lock without a key, using several types of tools, for which they are trained specifically. 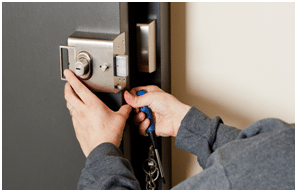 A key aspect of a professional locksmith function is that they are trained in using non-destructive methods and therefore aim to open the lock and door through proven and skillful tactics, and never resort to breaking anything, like glass or other components. A locksmith works to exploit the mechanical structure defects in the lock. They know and understand that different locks have different characteristics and weaknesses, and this is where they act to expose the vulnerability in them for unlocking. Their professional training has induced the skills in them which help them to identify a specific character and weakness in a particular lock, and then they are able to incorporate a certain technique to open that lock. Most of the locks work on the pin and cylinder function. When you insert the key, it forces up the pin, freeing the cylinder, which opens up the lock. The locksmith will first identify the direction where the cylinder needs to be turned, and then insert a tool to coax up the pin out of the cylinder, leading to turning the cylinder, and open the lock. Their skills are not only restricted to these types of locks only, but they are well equipped to open digital and smart locks too, using and leveraging the technology to find the break codes to open the smart locks and keyless entry systems. The thing which makes their process easier is the availability of resources and tools at their disposal. 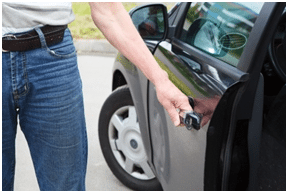 They have the latest and advanced tools and techniques, which they use effectively through their knowledge and skills to unlock car or house doors, without causing any damage. But, tools are just their resources; it is their knowledge and skills that play the important role in opening a lock efficiently. A locksmith works with full dedication and concentration, and relies on their skills, to work their way around the mechanism which delivers them great success, whether they try to unlock doors, attending to a locked-out situation or opening a traditional look.